We’re lucky the Florida everglades are still in existence! As a result of the land boom of the early 1920’s portions of the Everglades began to be drained and turned into residential and business zones. Ernest F. Coe, a Florida land developer turned conservationist, was disturbed by what he saw. Working passionately for more than 20 years to protect the Everglades, Ernest’s hard work eventually paid off and in 1934 Everglades National Park was finally established. Consequently, Ernest F. Coe is now known as “Father of Everglades National Park.” Thanks to his outstanding conservation efforts, all of us can explore and enjoy this unique ecosystem! 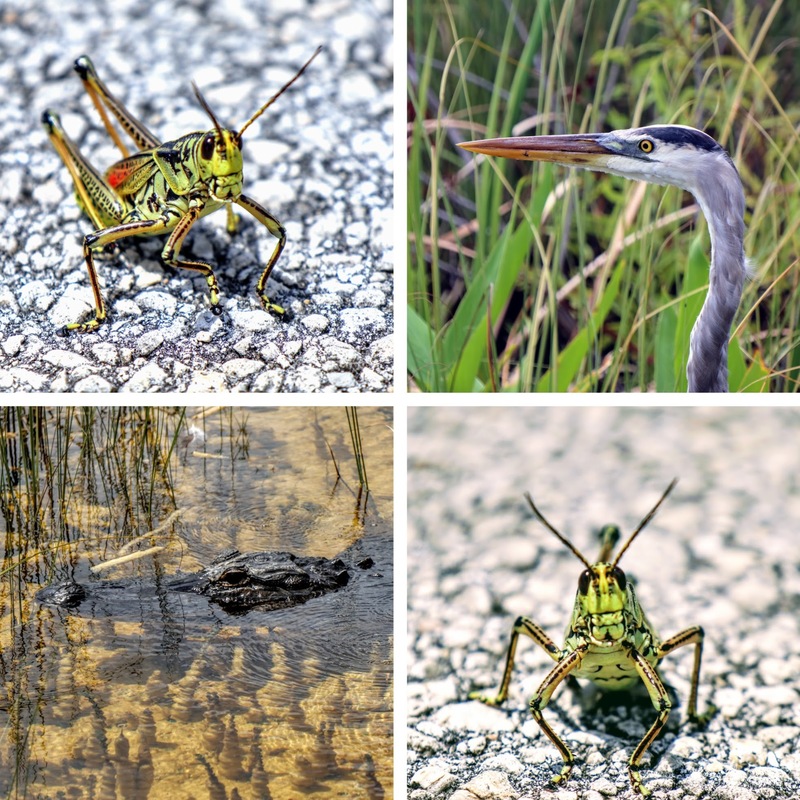 Conveniently located just 46 minutes from Miami International Airport and 1 hr 10 minutes from Fort Lauderdale-Hollywood International Airport, Shark Valley offers several great ways to experience Everglades National Park, such as the Bobcat Boardwalk nature walk, Shark Valley Tram Tour, or self-guided bike tour. Be sure to first stop by the Shark Valley Visitor’s Center and check out the educational displays, park video and informational brochures. 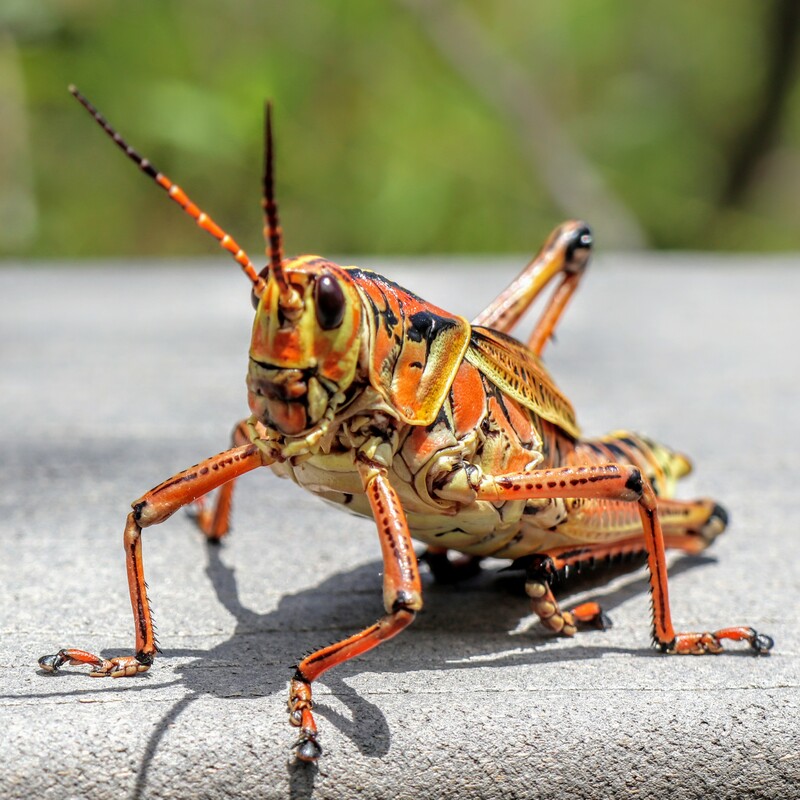 The rangers working here are knowledgeable and can give you helpful information about wildlife in Everglades National Park as well as all the fun things to do while visiting Shark Valley. 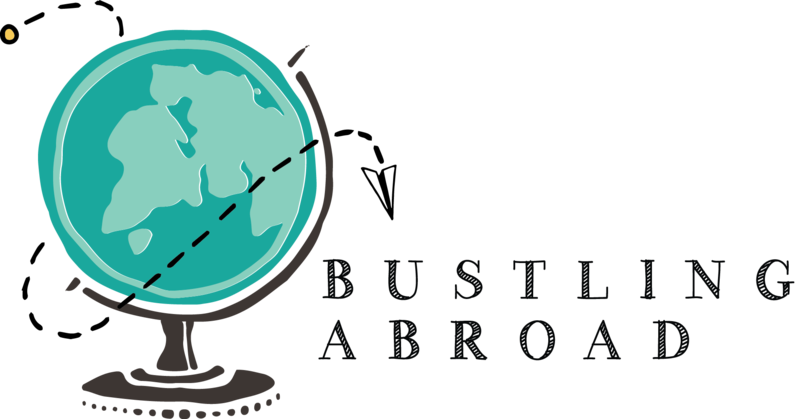 There is also a nice gift store that sells all kinds of fun souvenirs, books and postcards. And most importantly they sell sell snacks, cold beverages and ice cream. A cold popsicle really hits the spot after being out in the sun for several hours! 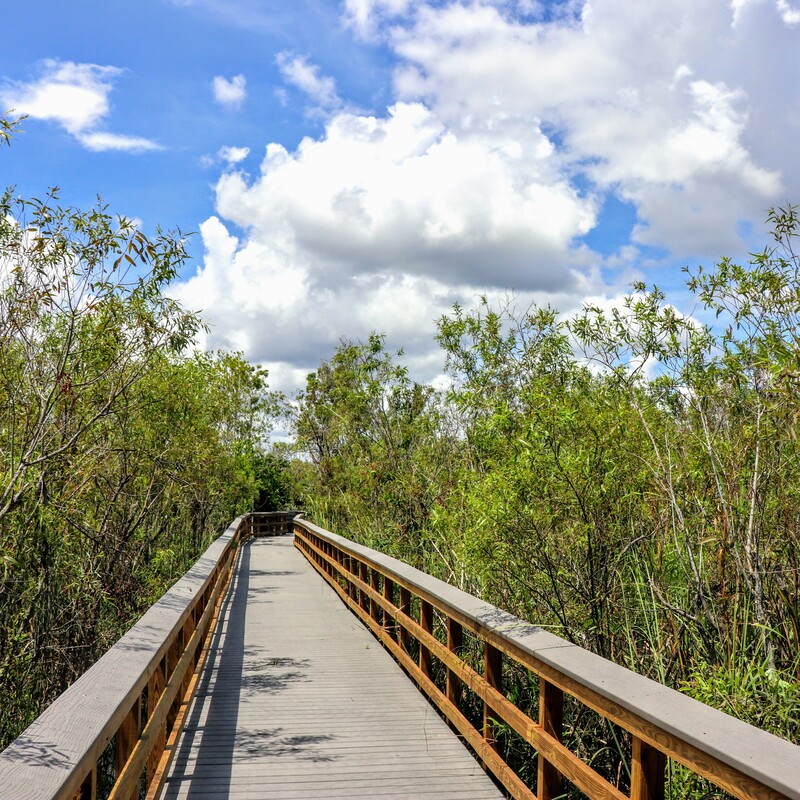 From the visitor’s center you can take a stroll on the Bobcat Boardwalk that meanders through the sawgrass slough and tropical hardwood forest. 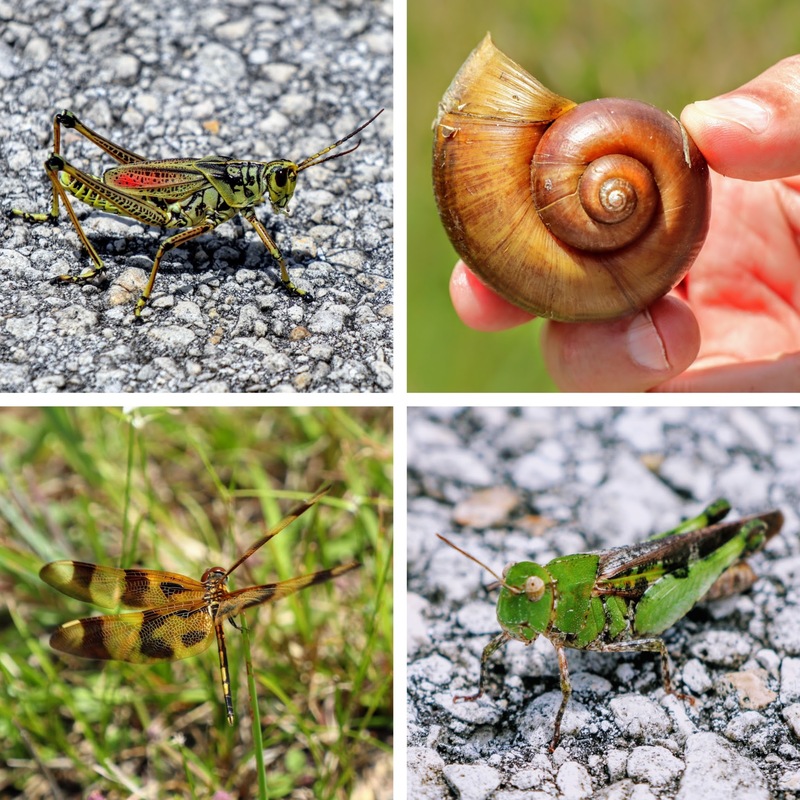 We really enjoyed this short walk as we saw some beautiful Eastern Lubber Grasshoppers. There are also some educational plaques along the way that will teach you interesting facts about the Everglades. If you want to save time, just turn left at the end of the trail and follow the road back to the visitor’s center instead of going back the way you came. We had extra time so decided to turn right and walk up the road for a bit. Although hearing the alligators calling each other was creepy, we enjoyed seeing birds, insects, shells and alligator pathways in the grass. 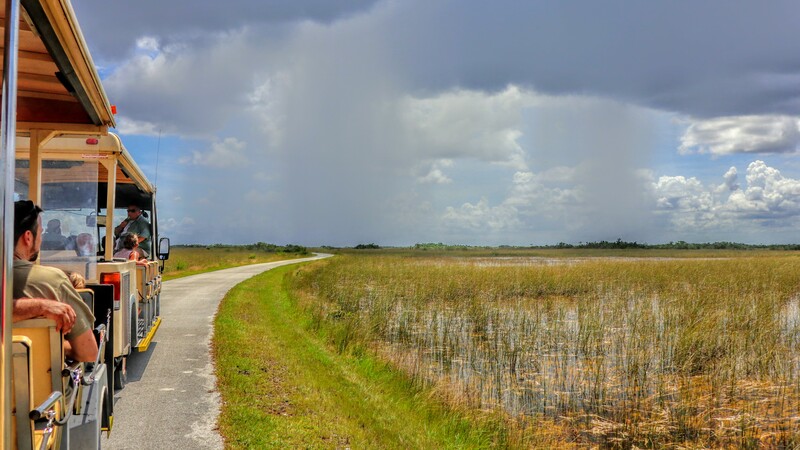 A 15-mile paved road loops through the Shark Valley and allows visitors to experience the best of Everglades National Park by walking, biking or taking a tram tour. If you have limited time this is the best way to see the Shark Valley. The tram is open air but it also has a top that provides shade from the sun’s intense rays. The driver stops at all wildlife sightings and makes sure everyone gets a chance to take pictures before moving on. Within a few minutes of the tour I had lots of opportunities to photograph birds, alligators, and other wildlife without having to use a wildlife lens. 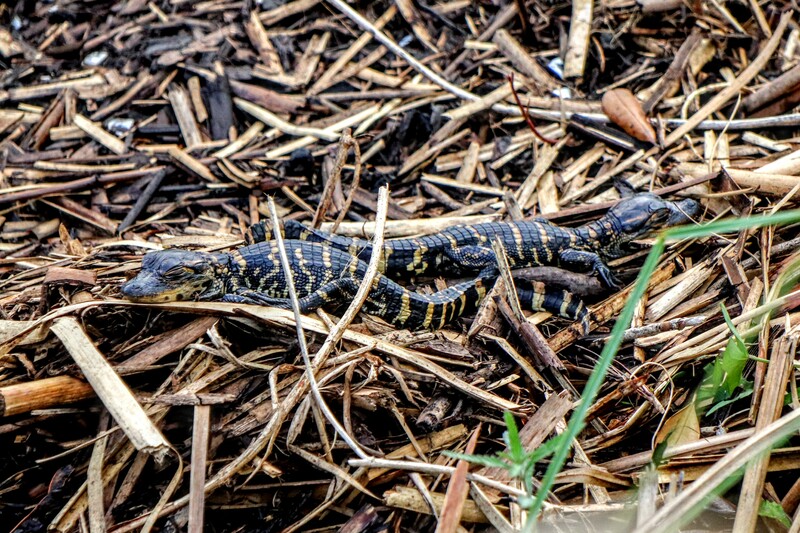 We even got up close to a nest of adorable baby alligators! Another benefit of taking the tram tour is the knowledgeable naturalist tour guide who narrates the trip. Our guide shared many interesting facts about the wildlife and about Everglades National Park that we would have missed had we taken a self-guided tour. 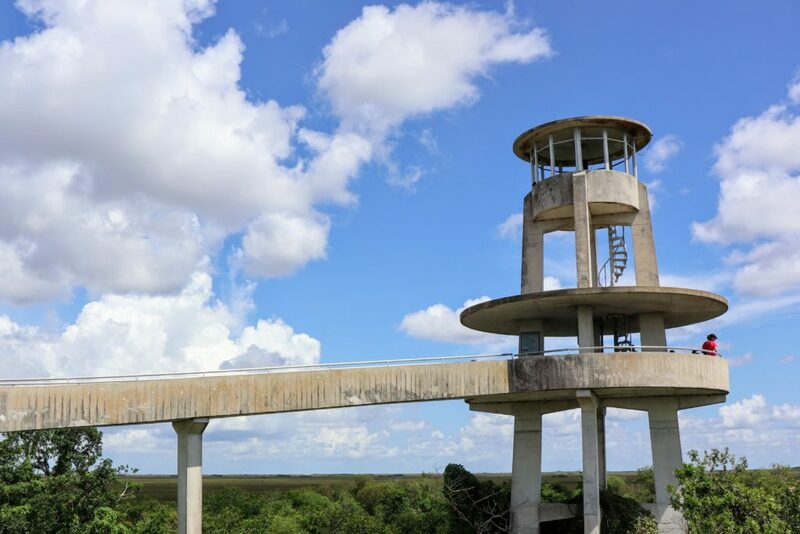 About halfway through the tour the tram stops at an observation tower where there are bathrooms and you can walk to the top and get a bird’s eye view of the everglades. (As of January, 2019 the bathrooms are still under construction so make sure to use the visitor center bathrooms before heading out). Optimum body temperature for an alligator is around 89 degrees fahrenheit. 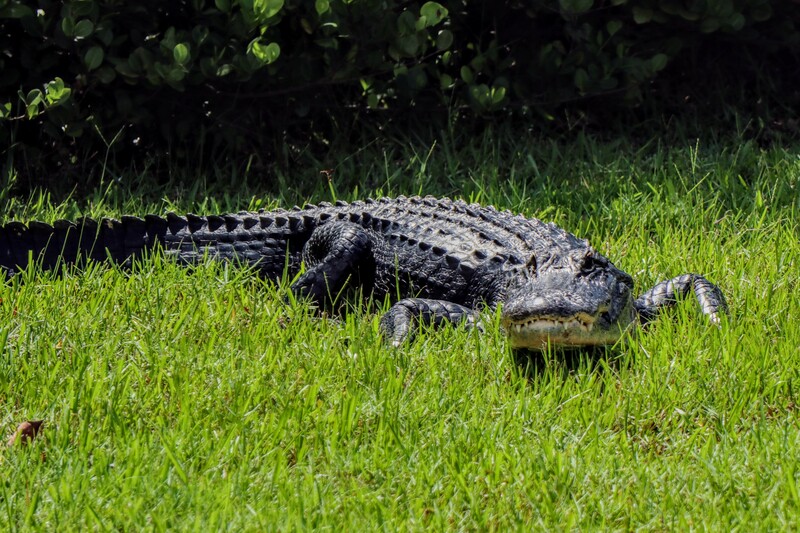 Heat from the sun activates digestive enzymes, so cold temps can kill a gator with a full stomach because the food will rot instead of digest. If they eat a larger mammal alligator’s only will eat once a month! 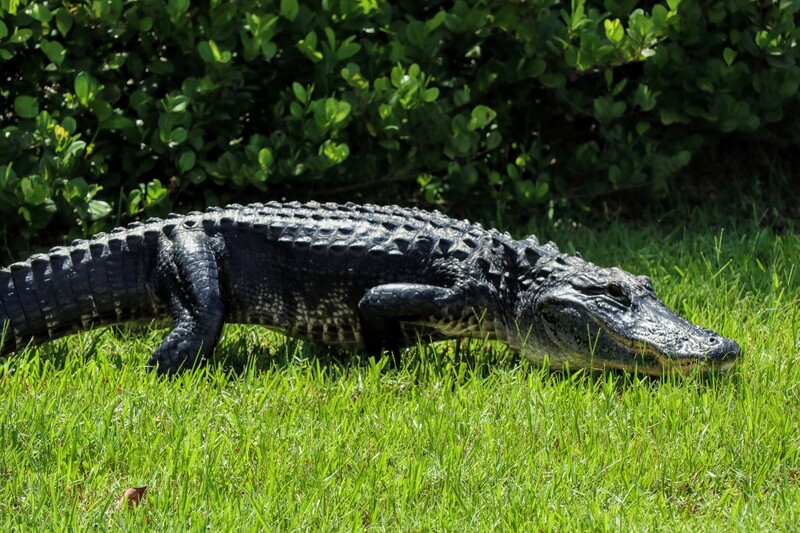 An average adult American alligator’s weight and length is 790 pounds and 13 feet long, but they sometimes grow to 14 feet long and weigh over 990 pounds. The largest alligator ever recorded was found in Louisiana and measured 19.2 ft! The largest ever recorded in Florida was 16 feet. 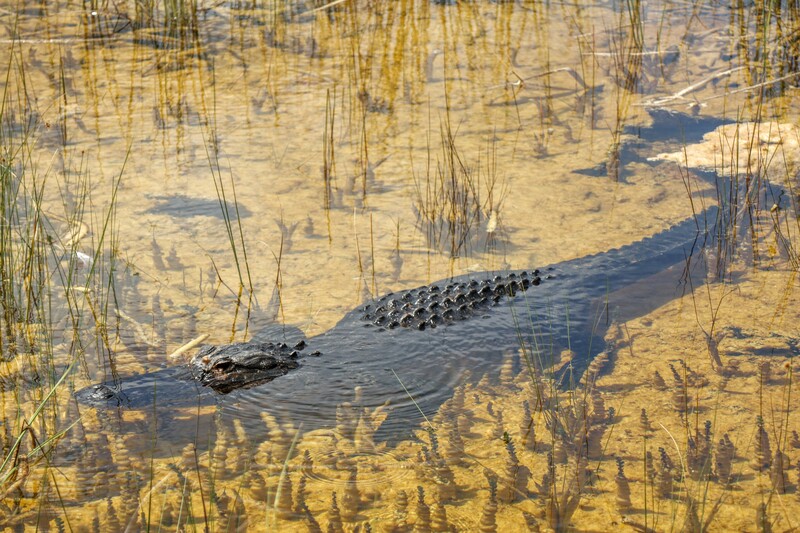 Best Time to Visit Shark Valley and Everglades National Park: Late August through early September is a great time to see baby alligators. It’s also not as hot as the summer months. Bike rentals are available at the visitor center or you can bring your own bike and ride the 15-mile paved loop. The benefit of doing a self-guided bike tour is you can go at your own pace. Just remember that afternoon thunderstorms are common in Florida so the best time to go is the morning. Although the loop is flat, there is no shade along the route and temperatures are typically hot and humid. Wear light clothing, sunscreen, sunglasses and a wide brimmed hat. If you want to rest along the way, stop halfway at the observation tower but know that as of January, 2019 the bathrooms are still under construction so make sure to use the visitor center bathrooms before heading out. Most importantly there is no drinking water along the way so hydrate well before heading out and also pack plenty of water! No trip to Everglades National Park would be complete without taking an airboat ride! 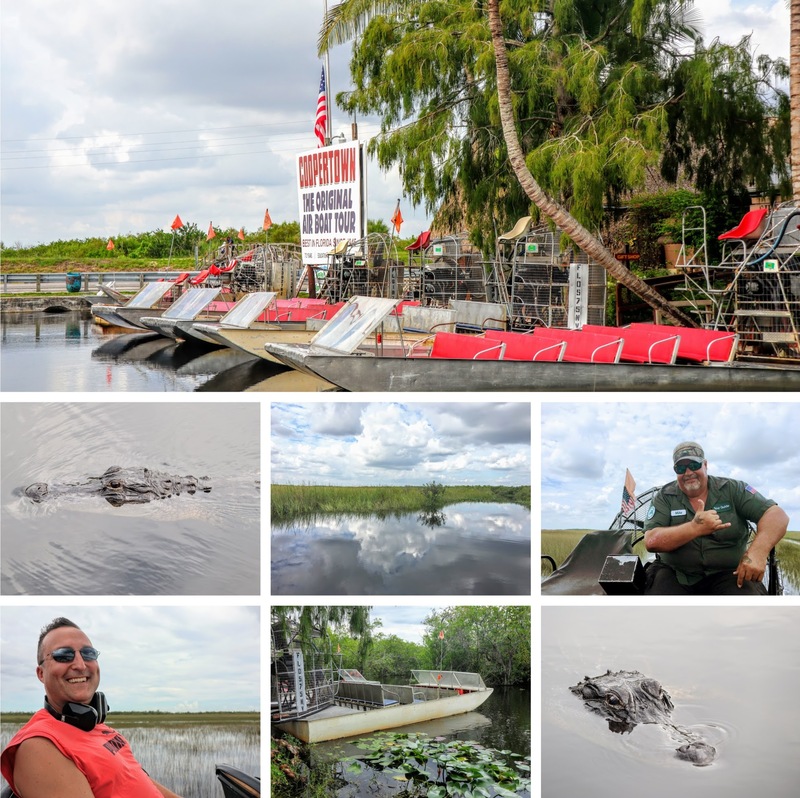 Offering exciting airboat tours for over 60 years, Coopertown Airboat Tours is a fantastic way to immerse yourself in one of the most unique landscapes in the United States. Mike, our professional airboat guide was informative, funny and adventurous. He took us on a personalized, educational tour covering approximately 9 miles of unique environment. At first we started out slowly making our way down a narrow channel but then sped up when we reached the open sawgrass prairie. There’s something so relaxing yet invigorating about watching the blue sky and bright green sawgrass prairie fly by! On the way back we stopped at an alligator hole where Mike called to his favorite gator “Peg”. At first I thought he was just being silly and doing it for show but “Peg” actually came out to meet us after he called her! She swam right up to the boat and got so close that I jumped up on the seat to put more distance between us! He proceeded to call to another alligator and I watched in awe as a gator slowly swam up the channel in our direction. 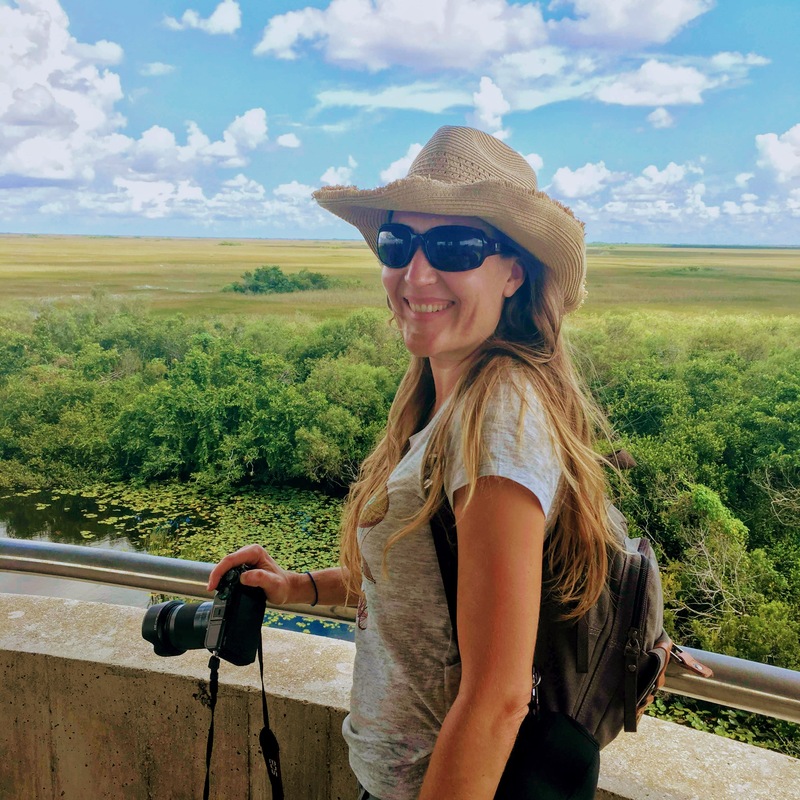 I had such an enjoyable time and recommend this as a fun way to see the best of Everglades National Park if you’re on a tight schedule. There’s a reason the Miami Herald has rated Coopertown Airboat Tours as #1 for 50 consecutive years! 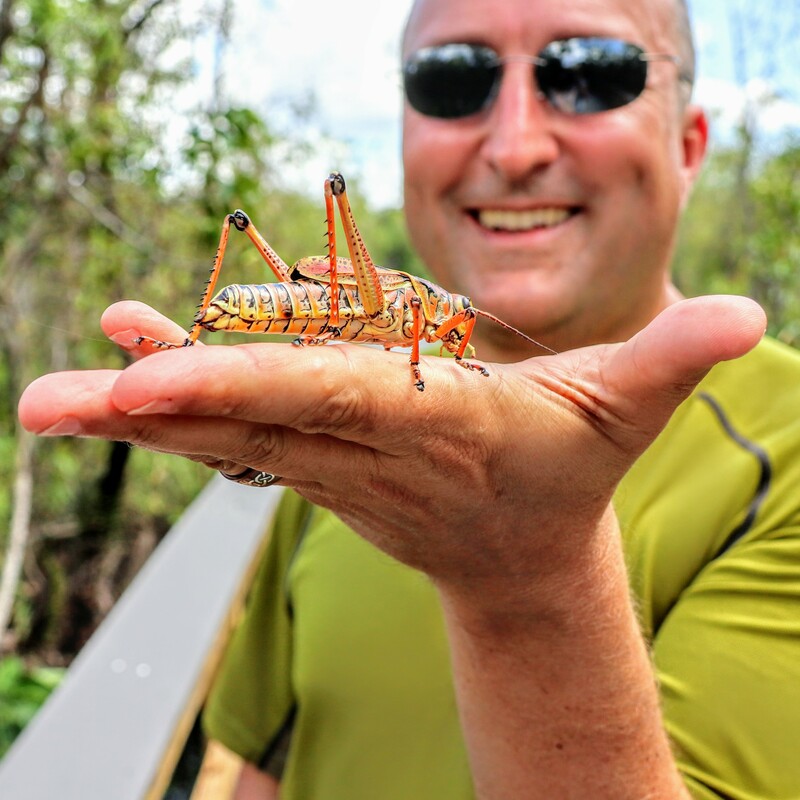 Check out the video of our Everglades National Park airboat ride!